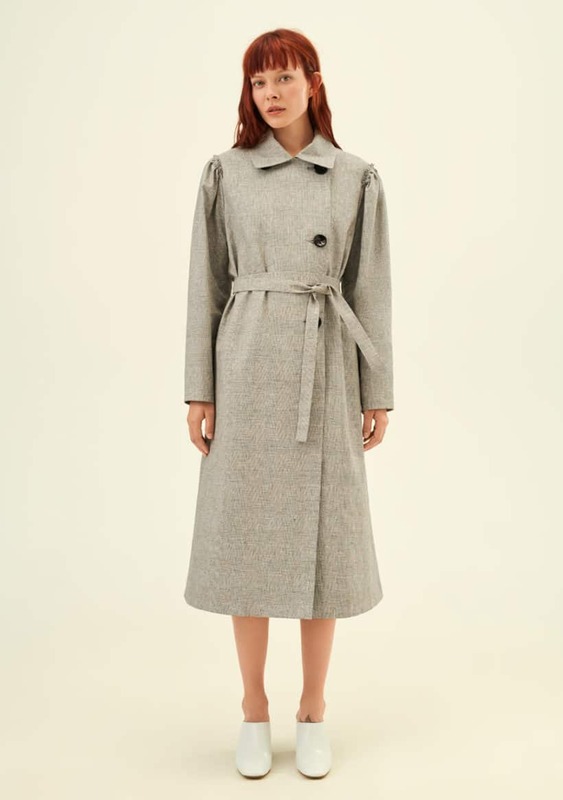 Trench coat with raglan sleeves and reverse seams. 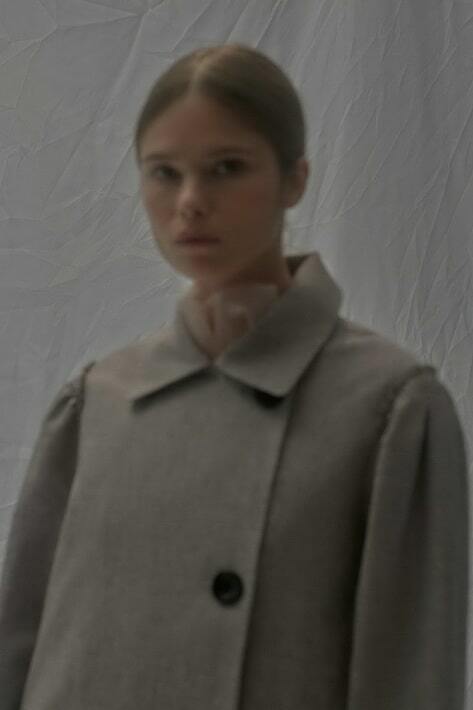 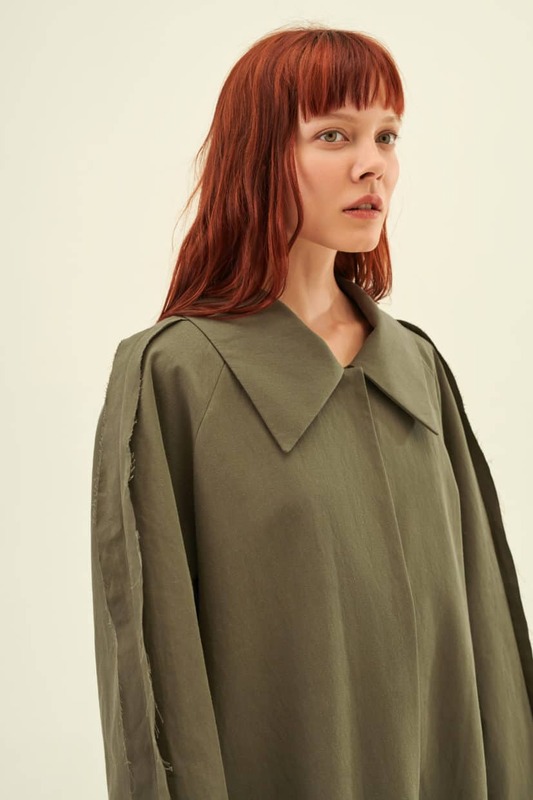 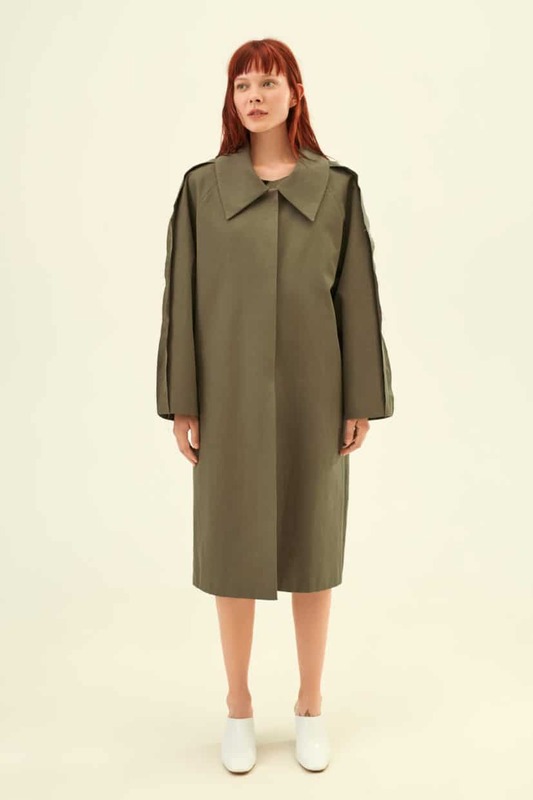 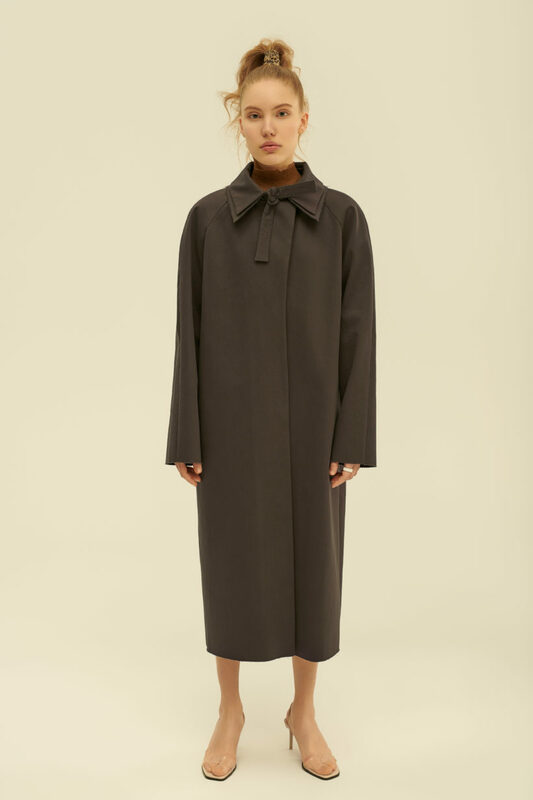 Voluminous capsule shape, large shirt collar and long vent. 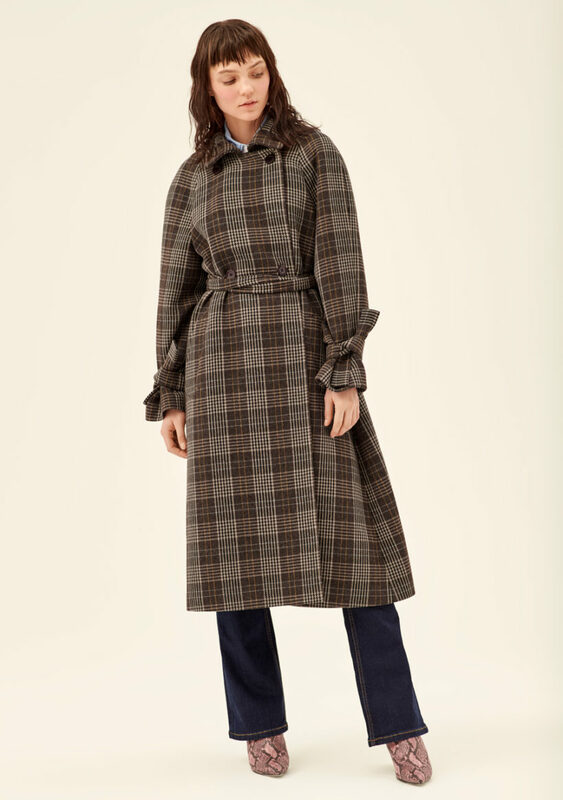 This trench coat is made from waterproof fabric and has a detachable insulated lining, which allows it to withstand low temperatures and wind.